Austin Jackson is a 5-tool player. Long considered the jewel of the New York Yankees farm system Jackson was sent to the Detroit Tigers in 2010 in the deal that brought Curtis Granderson to New York. Posting Rookie of the Year-type numbers Jackson figures to be a key component in the Tigers line up for years to come. 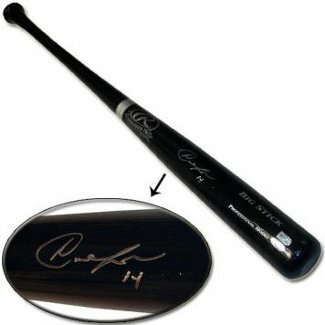 Jackson has hand signed this Big Stick Bat which includes a Steiner Sports Hologram and Certificate of Authenticity.